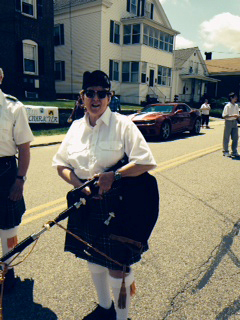 Blackstone Memorial Day Parade - Brian Boru Pipe Band, Inc.
Here’s Mary Jo in her first parade on Saturday in Blackstone. Congratulations Mary Jo! Way to go! Brian Boru Pipe Band participated in the Blackstone parade, and also Memorial Day ceremonies in Falmouth on Monday the 26th.